Conditions for this prestigious final could not have been worse. As per the weather forecast, it was true to form with the return of the ‘beast from the east’. A severe wind from the east with driving snow over the two days and a wind chill factor of -6C. 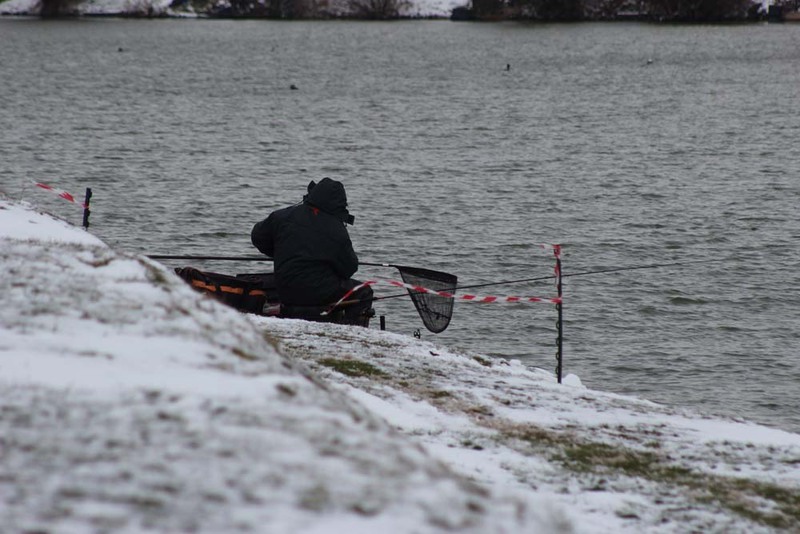 Due to the heavy winds, the lakes remained clear of ice but presentation was made difficult for all the competitors. 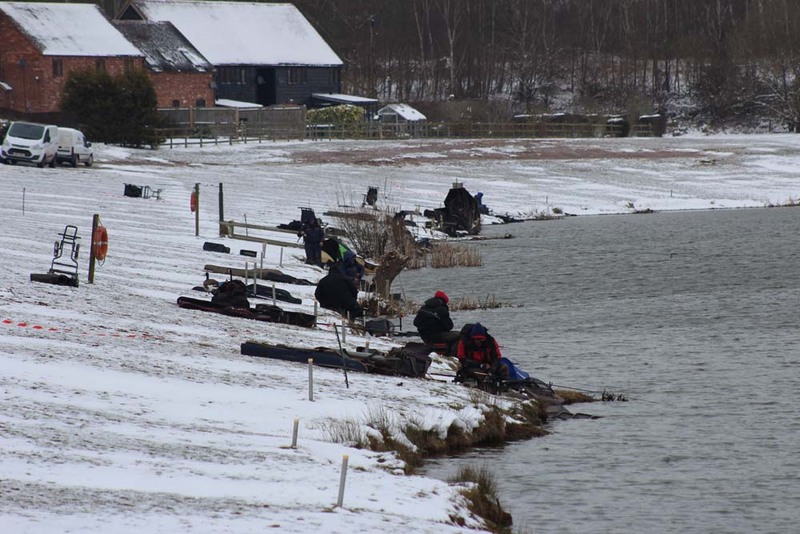 Hard to believe that the practice match on Friday before the final was fished with highs of 15C. 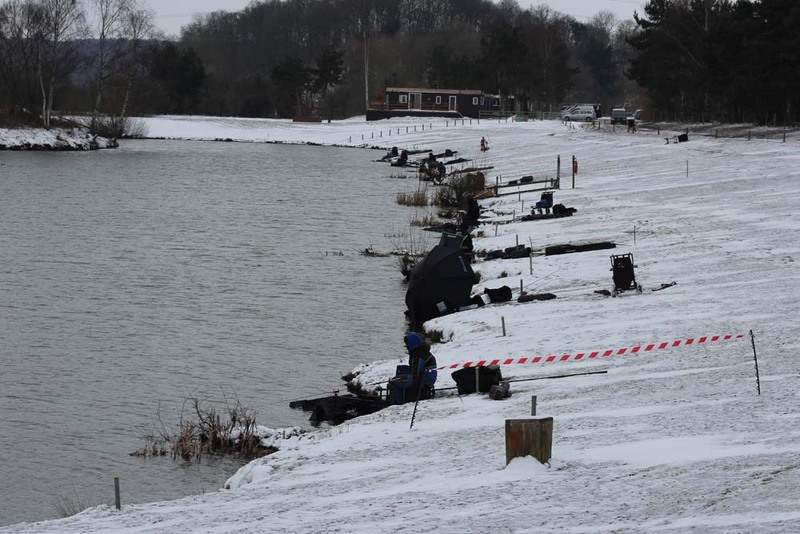 Winner of the section was Prezmek Solski who drew peg 6 on the Match Lake. Prezmek fished the method feeder short catching quality F1’s and carp to an orange waffter landing 42-12-00. 2nd in the section was Mark O’Neill with 27-09-00 from peg 62. 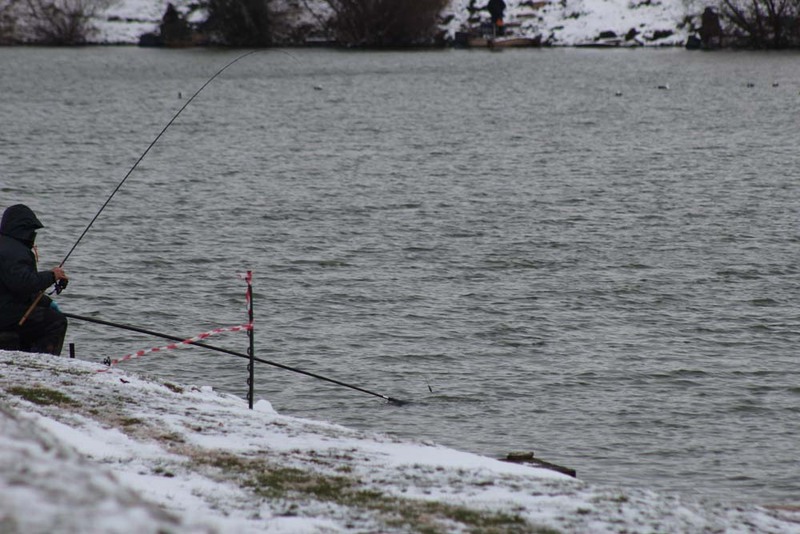 Mark found his fish late into the match down his edge on method and waffters. 3rd in the section was Darren Cox with 23-08-00 from peg 56, again to method short and waffters. Winner of the section was Tom Hobbs who drew peg 24. Tom fished to the island with method and waffters landing 60-13-00 of carp and F1’s taking the section comfortably. 2nd in the section was Charlie Simpson who drew peg 48 on the burr landing 32-08-00 of carp, F1’s and skimmers to method feeder short. 3rd in the section was Lee Jones weighing in 31-15-00 to the method feeder from peg 50. 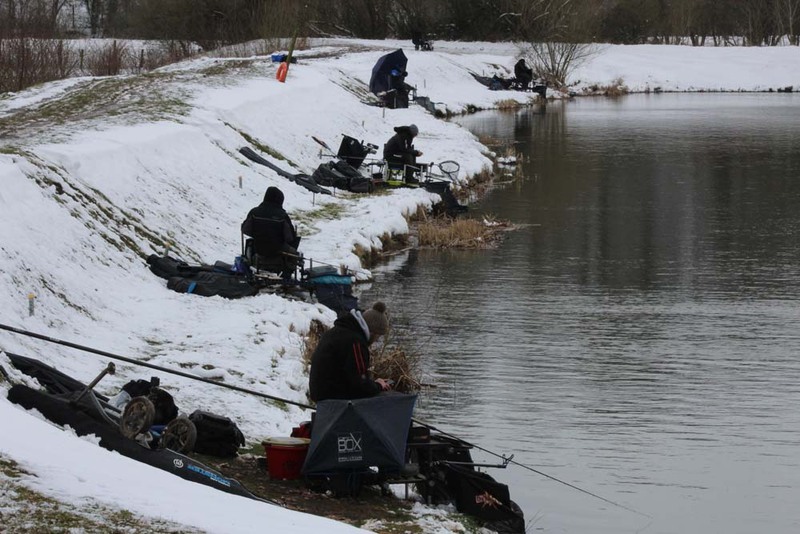 The Arena Lake on day 1 fished very well despite the awful conditions. Winner of the section was Les Thompson who drew peg 20. Les had to watch peg 7 on the opposite bank catching quality carp early but during the course of the match pulled it back landing bigger fish to method and waffter, fishing just short of half way. 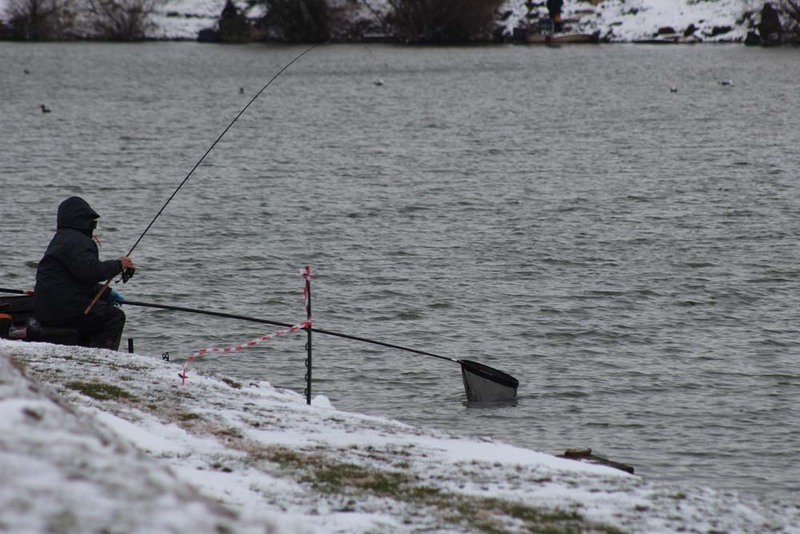 As the match progressed, Les switched to his edge lines, which came alive with quality carp, sealing his victory with a section winning weight of 90-07-00. 2nd in the section was Sean Kelly who drew peg 7. Sean was off to an early flier with carp stacking up in his corner peg. Sean found his fish on the method and waffter weighing in 77-10-00. 3rd in the section was Lee Addy who drew peg 9 weighing in 45-09-00 of carp and bream to method and waffters. 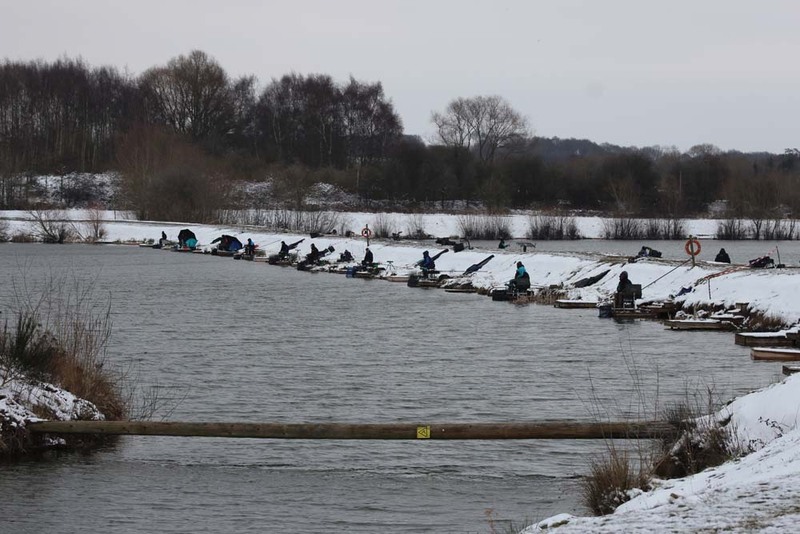 England international Steve Ringer drew peg 6 on the Specimen burr and fished the hybrid feeder at around 60m. Fishing orange waffters, Steve found an early carp of around 15lbs to kick start his match in style. He later added four more carp to weigh 61-04-00 and securing the section win. Pushing Steve all the way was Andy Washington who drew peg 4. Andy landed 8 carp and looked to be heading for section win. The carp he landed were a smaller stamp so at the scales, Andy weighed 53-13-00 securing second place in the section. Third in the section was Lea Hall who drew 78 on the chalet bank weighing in 38-15-00 of carp and bream, all taken on the method feeder. Ricky caught skimmers on the cage feeder short with dead reds and later in the match, found a carp short on the method boosting his weight to 24-08-00 to secure a section win. Second in the section was local rod, Ray Lamb who drew peg 70. Ray fished the method all day with pink waffters finding a couple of quality bream and carp to weigh 17-03-00. Third in the section was Rob Wooton who drew peg 68. Rob fished the method long weighing 16-05-00. Winner of the section was Jamie Harrison who drew peg 62 on the chalet bank. Jamie fished the cage feeder with dead reds landing quality bream all day at around 25 m finishing the day with an all bream catch of 32-01-00. Second in the section was Richard Pennington who drew peg 30 on the burr bank. Richard fished both the cage and Method feeder finishing the day with 19-02-00. Third in the section was Rob Upex who drew peg 58 landing 8-01-00 from this difficult part of the section. The weather was now pretty horrific with 25 mile per hour winds and driving snow. Winner of section A was Richard Pennington who drew end peg 62 on the Match Burr bank. Richard caught most of his fish later down his edge on the method feeder weighing in 25-07-00 securing his section win. Second in the section was Phil canning with 23-13-00. 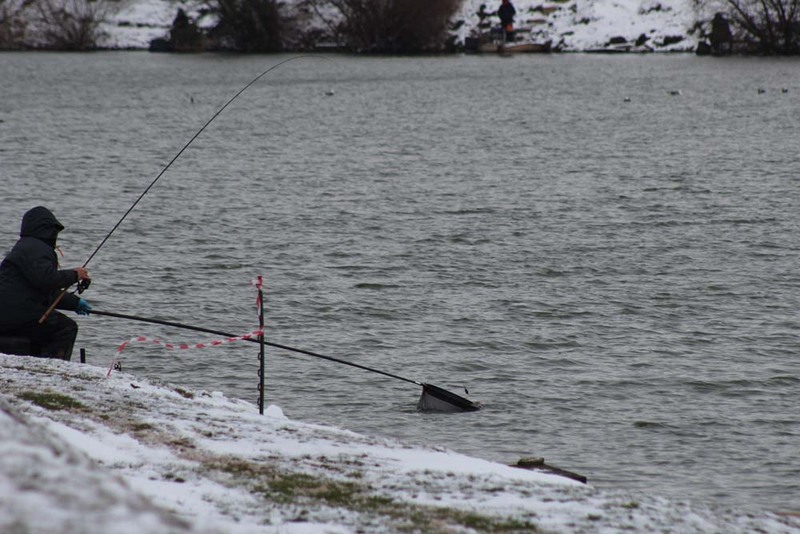 Phil drew peg 8 on the shallow bank, which was not a fancied draw. Fishing the method halfway and later down his edge Phil caught F1’s and carp to weighing in 23-13-00. Third on the day was Paul Wright who had a ding donger go with Phil Canning weighing in 23-11-00 from Peg 6. Paul also fished the method missing out by just two ounces for second in the section. Steve found mainly quality F1’s to weigh 44-08-00 winning the section comfortably. Second in the section was England’s Steve Ringer who drew page 22 on the grass bank. Mike fished a method feeder with orange waffters landing 40-14-00 of carp easily winning the section. Second on the day was Kevin Hill who drew peg 9. Kev fished the method finding a few carp to weigh 27-06-00. Third in the section was Matt Pillay Who drew peg 18. 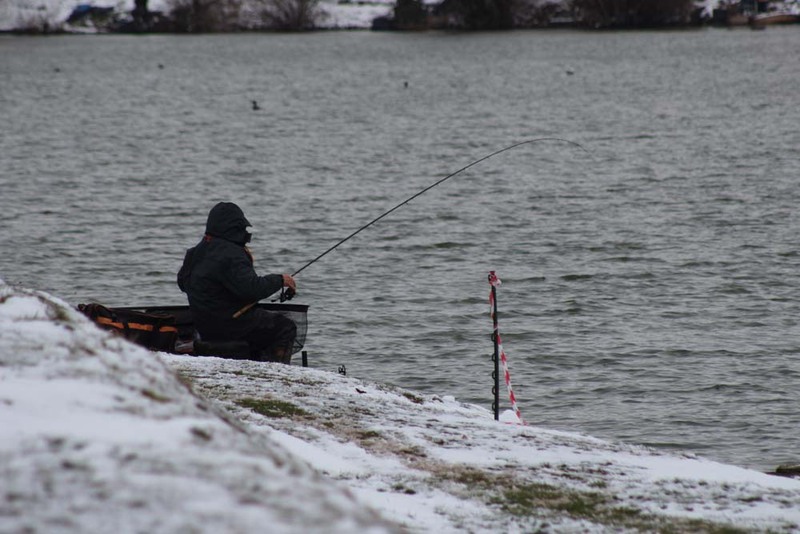 Charlie Simpson made the most of fancied peg 80 on the Specimen Lake. Fishing the method at around 30m, Charlie found 8 or 9 carp to waffters weighing in 74-02-00 for a comfortable section win. Second in the section was Kevin Hall from peg 6 on the burr bank. Kevin fished both the cage and method to find carp and bream for a very respectable 41-05-00. Third in the section was Darren Cox with 30-04-00. Darren drew peg 78 on the chalet bank landing a couple of carp to the method and waffters. Gary fish the method and cage feeder to find carp and bream to weigh 20-00-00. Close behind Gary was Simon Willsmore who drew peg 16. Simon found bream and carp on the method and cage to finish the day with 18-08-00 securing second place in the section. Winner of section F was Richard Hoskins who drew peg 62 on the chalet bank. Richard had a few small skimmers to the cage feeder but found a good carp late in the match to the method short boosting his wait to 28-11-00 to secure the section win. Second in the section was Gareth Lambert from peg 54. Gareth fished the cage at 30m with dead reds landing 20-15-00 of bream and skimmers. 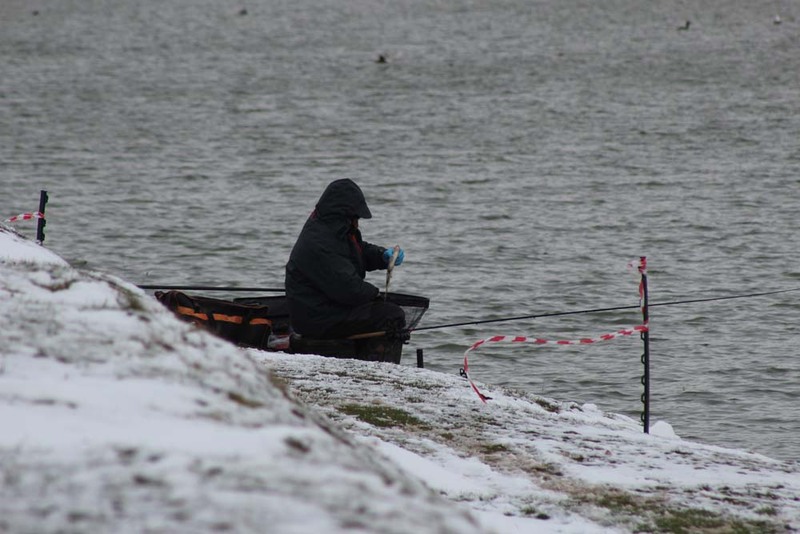 Third placed Les Thompson fished hard with the cage feeder at 20 metres with dead reds. The first half of the match Les had very few bites but found the bream and skimmers late in the match to weigh 15-10-00 for a 3 point section score. 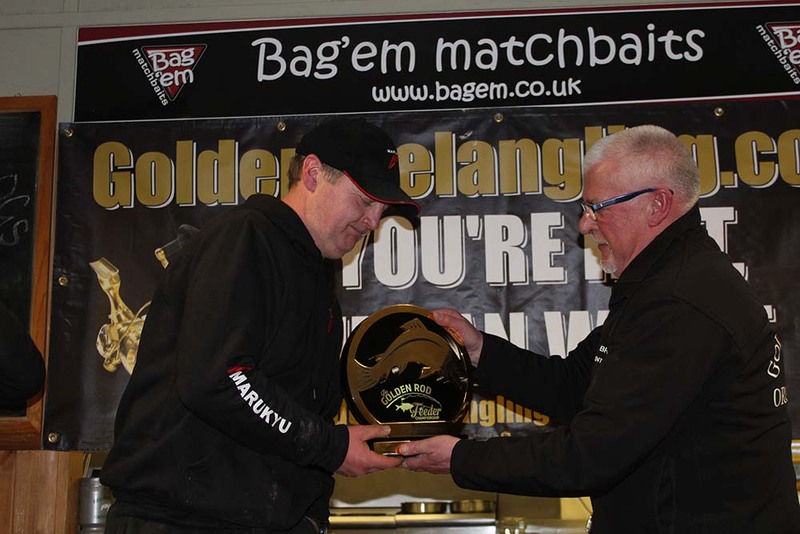 Adding up all the section weights after the two days, three points was shared by three anglers so to establish the overall winner the weights over the two days confirmed the championship. Charlie Simpson the first Golden Rod feeder champion collected a massive £12,000 first prize and the Superb Golden Rod feeder championship trophy, well done Charlie. Second place Steve Ringer collected a cheque for £7,000, brilliant performance Steve. Third place Richard Pennington collect a cheque for £4,000, well done Richard. Fourth place Les Thompson collected a cheque for £2,000, yet another envelope from Phil Briscoe well done Les. Section winners (10 per section) all collected £150 per section so in total £26,800 was paid out plus super pools pay outs. 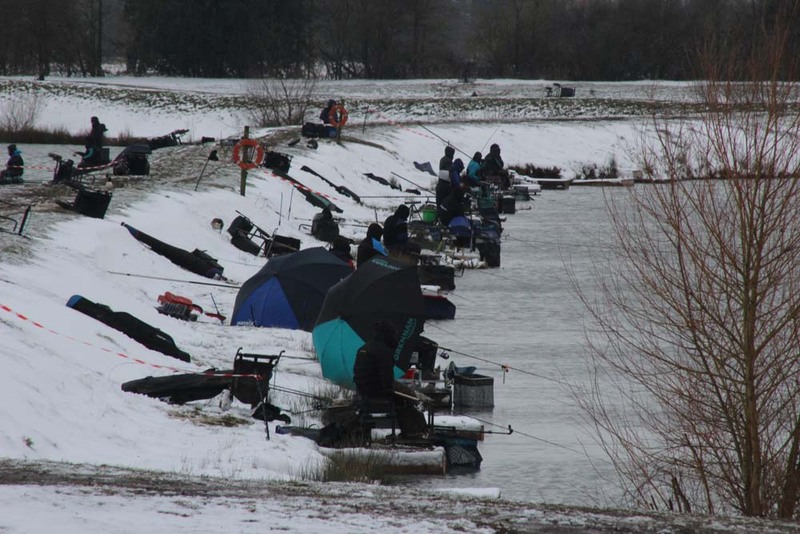 Our thanks to all the competitors for braving the extreme conditions and seeing the match through to the finish. 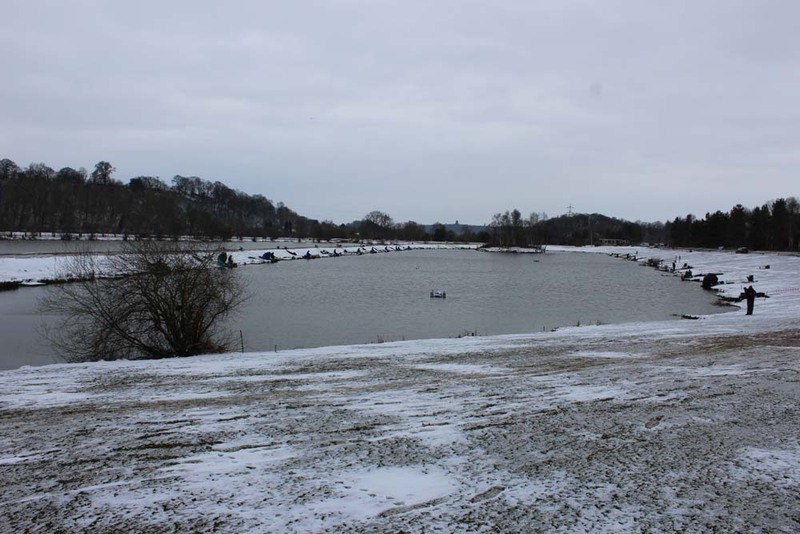 Our thanks are extended to the Larford fishery staff for also braving the conditions. A special thank you to Tom Scholey from Catch More Media for covering the event. 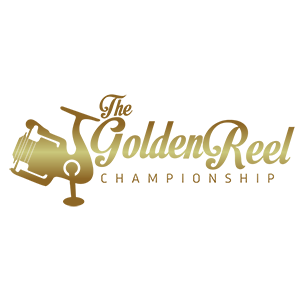 Finally, a big thank you to the organisers from all the qualifiers Mick Axon, Andy Burrows and Matt Blackmore, all played a very important part in making the Golden Rod feeder championship a massive success. Here are a few photos of today’s final, with weather resembling Siberia with the snow and biting wind.